No matter how good the community health may be, there will always be the need for a good general hospital to deal with referred cases. Chikankata is a name recognised in Zambia representing quality medical and nursing care. The hospital is a second level hospital that serves a catchment population of over 100,000 people and also receives many referrals from all over Zambia. 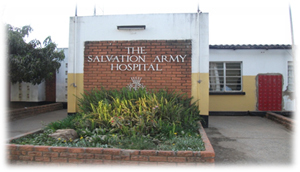 This 200 bed hospital is run by The Salvation Army on behalf of the Government of the Republic of Zambia. This partnership between church and state has met with success in the service of the people of Zambia and is overseen by the Churches Health Association of Zambia (CHAZ) including the Catholic Relief Services (CRS).